This page provides resources for employees to learn how to access their online tax forms. Click the buttons below for more details. To keep sensitive information (like your social security number) safe, the University uses a security method called “2-Step Verification.” This method asks you to verify that “you’re you” before letting you see your W-2 in ConnectCarolina. The first step is to create an account for yourself—you only need to do this once. Quick reference cards about getting started with 2-Step Verification, instructions for registering a new phone, FAQs and more are at help.unc.edu/help/duo. A video to learn about 2-Step Verification. If you have technical problems viewing or printing your W-2, contact the Help Desk at 962-HELP. Then you’ll follow a few more steps each time you need to access your W-2. See the How to Find Your W-2 Online job aids in the button below. Since calendar year 2015, the university has offered online W-2 distribution as a convenience to you in addition to the paper W-2s we produce and distribute each January. Employees can now opt out of receiving paper W-2 forms beginning with the current 2018 calendar year. Opting out of paper W-2 forms (also known as consenting to receive the W-2 form electronically), provides the most secure method of W-2 distribution, makes use of the Connect Carolina system saves paper and saves costs. If an employee does not consent to receive an electronic version of Form W-2, he or she will be furnished a paper Form W-2. 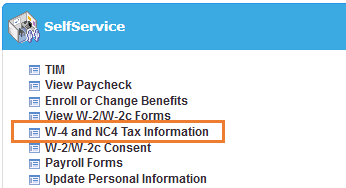 Active employees can view and print their tax year 2014 – 2018 W-2 forms any time using the ConnectCarolina SelfService menu. 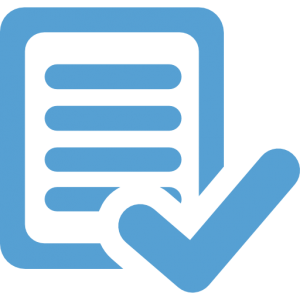 Note: Employees can view or print only their own personal tax forms. Additionally, former (i.e., inactive) employees will continue to receive paper W-2s via U.S. mail, and also have the option of accessing 2015 and onward W-2s via a guest account (Guest ID) in ConnectCarolina. Instructions can be found at help.unc.edu/help/onyens-guest-ids/. Follow the job aid instructions below to access your W-2. We have developed the W-2 FAQs as a tool to help answer many of the frequently asked questions concerning W-2s. Active employees can access and print their W-2s at any time, 24 hours a day/7 days a week. The functionality can be especially useful for employees who need to access their W-2 information in a timely manner when applying for personal loans. The electronic W-2 is just as official as the paper version you normally receive from Payroll Services – no special paper is needed. If you have problems viewing or printing your W-2, contact the Help Desk. If you want a paper W-2 printed for you, email payroll@unc.edu. Online W-2s will be available when they are issued. W-2s for years prior to 2014 will not be available on ConnectCarolina. We have developed the W-2 FAQs as a tool to help answer many of the frequently asked questions concerning W-2s. You can now view your current withholding forms for federal and State of North Carolina taxes, and you can make changes to these forms via the SelfService menu on the ConnectCarolina home page. If you have problems accessing the forms, contact the Help Desk. Contact Payroll Services at payroll@unc.edu if you are unable to update your W-4 or NC-4 after working with the Help Desk. Note: Employees can view or print only their own personal tax forms. The online availability to view and change your own tax withholding status is part of the University’s efforts to increase electronic options for employees using ConnectCarolina SelfService. See below for the official memo announcing the online availability of tax forms and a set of instructions on how to find and update your NC-4 or W-4 online. You are encouraged to share, print and display these instructions in any area as appropriate for your staff.